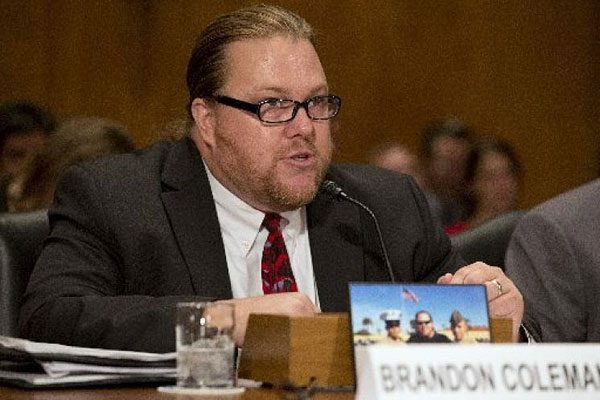 Embattled Phoenix VA whistleblower Brandon Coleman has settled his retaliation claim with the Department of Veterans Affairs, which was taken up and investigated by the Office of Special Counsel (“OSC”). Following the settlement, Coleman returned to work at the VA after spending 18 months on paid leave. However, as part of the settlement, Coleman accepted a new position at a different VA treatment center. Coleman, who worked as an addiction therapist at the Phoenix VA, filed a complaint with the OSC, which principally alleged that the Phoenix VA was violating its own policy of assigning one employee to every suicidal veteran. Coleman further alleged that the Phoenix VA was not adequately monitoring suicidal veterans or other veterans with mental health problems in its emergency department. Coleman says that after he made the above disclosures to the OSC, the Phoenix VA hospital management impermissibly retaliated against him. In response to the retaliation, Coleman appeared across various news networks and in Congress to raise awareness about accountability and whistleblower protection issues. Members of Congress became outraged when they found out that Coleman had been retaliated against in the time since he testified before Congress. In fact, Senate lawmakers were so incensed by the retaliation claims against the Phoenix VA that they told VA Secretary Robert McDonald in a letter to cease his department’s retaliation against Coleman, and to transfer him to a VA facility outside the Phoenix system. Sens. Chuck Grassley, R-Iowa, and Ron Johnson, R-Wisconsin, told McDonald that since Coleman had testified before Congress in December 2014, the Phoenix VA had subjected Coleman to retaliation. “As founding members of the Senate Whistleblower Protection Caucus, we are committed to ensuring that federal whistleblowers are treated fairly and that whistleblower retaliation is not tolerated within the federal government,” the two said in their letter to McDonald. As noted, in December 2014, Coleman filed a complaint with the OSC alleging the Phoenix VA was failing to properly care for suicidal veterans. A month later, the Phoenix VA’s interim director, Glen Grippen, met with the VA’s regional counsel to learn if they could “remove Coleman from employment,” the senators told McDonald in their letter. Grippen and the VA’s regional director were advised by an attorney that Coleman could not be fired for whistleblowing but could be removed for “unrelated conduct,” according to the letter. “Shortly after the meeting Mr. Coleman was accused of having an altercation with a colleague” and was put on administrative leave, Grassley and Johnson said. Coleman also reported that in November 2015 a fellow VA employee dressed up as him for a Halloween party at the Phoenix VA, suggesting that the embarrassing treatment of him has been acceptable to senior officials. Coleman also wished for those responsible for the actions taken against him to be held accountable, the senators said. The senators also told McDonald they want the VA to brief their own staffs on what the department is doing about whistleblower retaliation. Specifically, they requested all correspondence relating to the investigations into the Halloween incident; to the Office of Accountability Review’s inquiry into Grippen’s alleged retaliation against Coleman; and to the decision to put Coleman on administrative leave back in February 2015. In a statement, the VA said it is committed to creating a work environment in which all employees feel safe sharing what they know, whether good news or bad, for the benefit of veterans, without fear of reprisal. In the few short months since the senators’ letter, Coleman and the VA have mediated their dispute through the OSC’s mediation program. While the details of the settlement remain confidential, Coleman returned to work as an addiction therapist at a VA facility in Anthem, Arizona on May 1, 2016. Coleman’s efforts, even in the face of prolonged retaliation, to raise awareness regarding accountability and whistleblower protection are of significant importance for VA employees everywhere. Other VA employees have also blown the whistle on other VA practices. Like Coleman, these employees have been retaliated against as well, but that has not stopped their efforts to improve the care for veterans across the country. Provide enhanced protections and expedite investigations of instances in which probationary federal employees are fired for blowing the whistle on wrongdoing within their agencies. Enact reforms to ensure that managers who retaliate against whistleblowers are held accountable. Provide the Office of Special Counsel with adequate access to information from federal agencies to allow for complete investigations and better protect whistleblowers. Ensure that all federal employees are informed of their rights as whistleblowers and provide training to managers on whistleblower protections. Establish measures to hold VA employees that improperly access the medical records of their fellow VA employees accountable. The Dr. Chris Kirkpatrick Whistleblower Protection Act passed out of the Senate Homeland Security and Governmental Affairs Committee by a unanimous vote of 16 to 0. However, there has been no further action on the bill since the December 9, 2015 vote. If you or someone you know is VA employee aware of potential misconduct, you have the right to report that information to the OSC without the fear of retaliation. However, even if retaliated against, you may be entitled to certain remedies under the law, including reinstatement. Our whistleblower attorney team is dedicated to helping employees who have information regarding employer misconduct and those employees who face workplace retaliation as a result of their reporting efforts. Please contact our whistleblower attorney team today for a consultation. You can contact us via email at kporter@chrisjen.com, by phone at (801) 323-5000, or by filling out our online form.